I’ll keep this one short. BECAUSE… I want you to get right over and see this one! The Ultimate Video for Big Shoulders (CANNONBALL DELTS!) Yes… By popular demand, I’m breaking out the markers again to make this very easy to understand! Target your front, side and rear delts like never before! They can make a statement with your shirt on (unlike your abs!) Problem is… Doing shrugs isn’t the best way to train them. 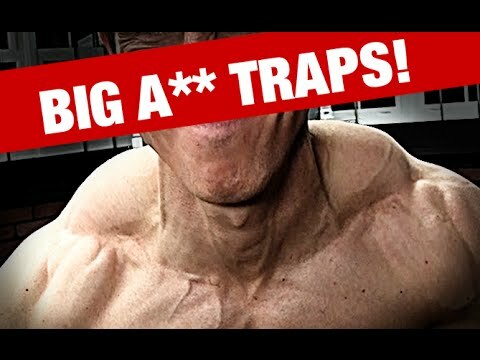 Watch This – Get Big Thick Traps Without Shrugs The traps are a fan shaped muscle with broad attachments. So why are you lifting straight up and down? Build bigger traps with these 2 moves!